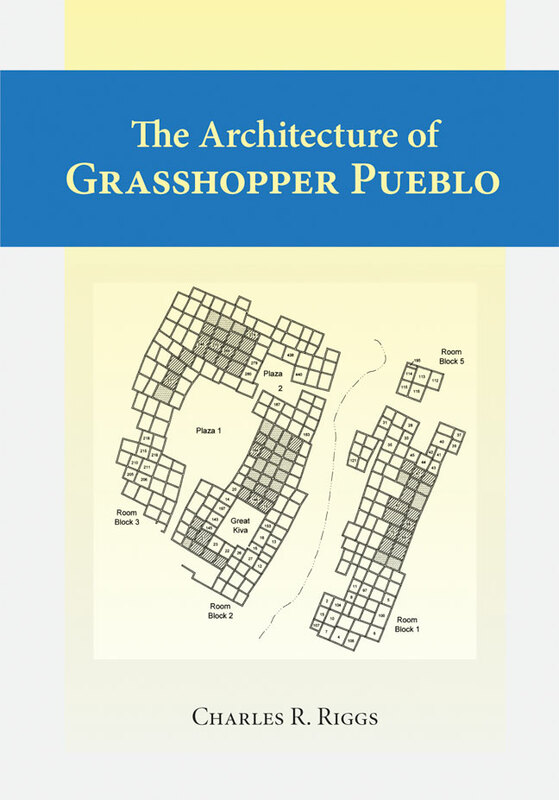 The long history of field research at Grasshopper, a massive, 500-room pueblo in an isolated mountain meadow in east-central Arizona, has produced a wealth of architectural information. Drawing on this extensive research, Charles Riggs reconstructs the pueblo, and provides a glimpse into the everyday life of the community at a critical time in Southwest prehistory. Between AD 1300 and 1330, a group consisting mainly of newcomers to the area established and then enlarged Grasshopper. From the architectural remnants excavated by the University of Arizona Archaeological Field School it is possible to determine that the earliest arrivals settled Grasshopper relatively quickly and that subsequent groups from the region and the Colorado Plateau built their houses next to kinsmen. The houses of locals and immigrants remained separate in discrete room blocks despite their occupants’ participation in communal groups. Ultimately short-lived, by AD 1330 the influx of immigrants tapered and the architecture came to reflect a more seasonal, less intensive use of the area. Eventually the community was abandoned and the walls were left to crumble. In The Architecture of Grasshopper Pueblo, Riggs gives us a new view of community life at this ancient Puebloan site. Charles R. Riggs is associate professor of anthropology at Fort Lewis College, Colorado.